Oboz Footwear was founded in Bozeman (Outside + Bozeman = Oboz), Montana, in 2007 and produces hiking, backpacking, travel, and winter footwear. Over the past eleven years, the company has attracted a loyal following, becoming a staple for hikers who want high-quality, rugged and durable footwear. But what about a sandal? 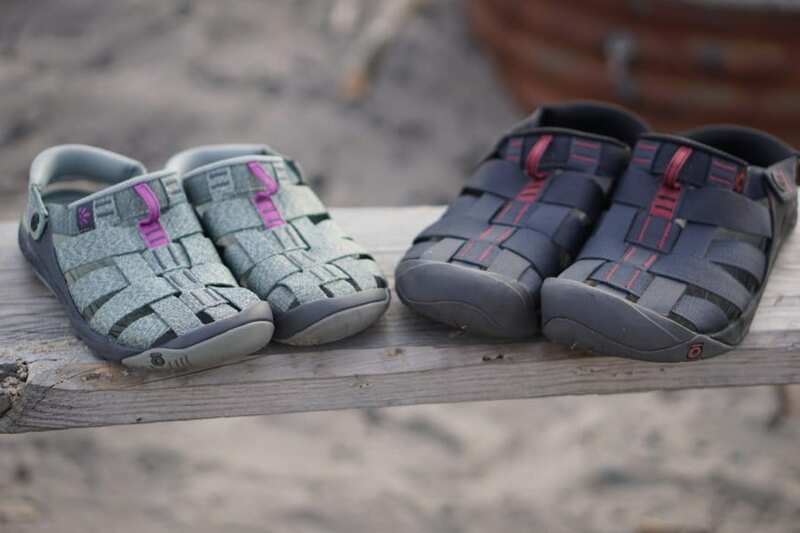 Oboz has built a campsite-friendly, water-capable sandal aptly named the Campster. The Salida Outsole combines non-marking rubber and EVA for incredible traction in wet environments with ample toe protection and remarkable all-day comfort. 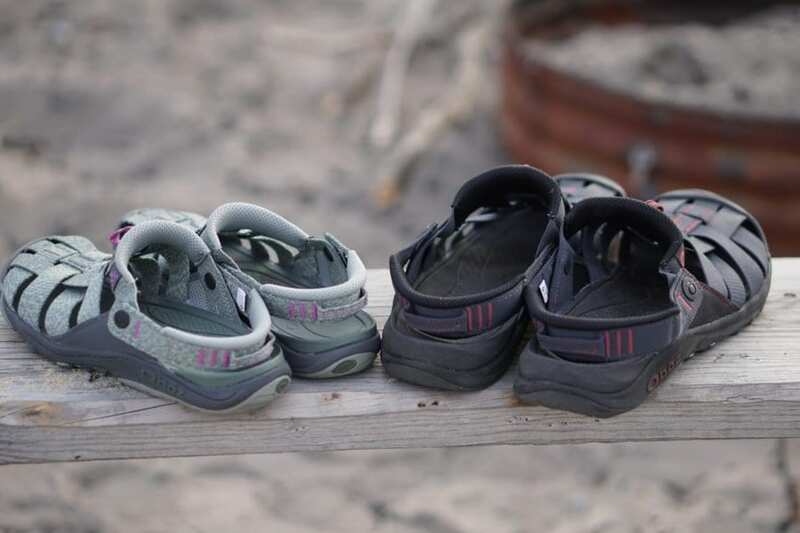 Outsole-grade EVA creates underfoot support without loss of cushioning. 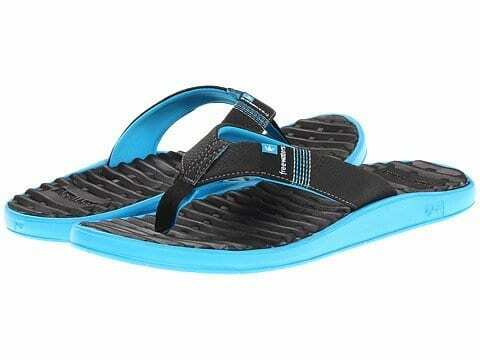 Medium density EVA throughout provides cushioning and comfort. Sculpted arch maintains a neutral foot position. Textured, anti-microbial top layer reduces slippage. 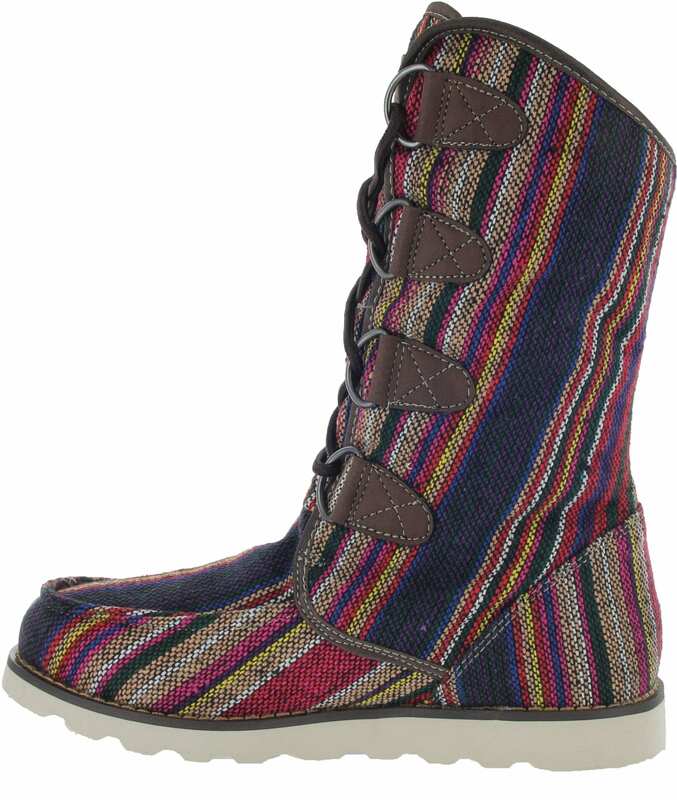 Deep heel cup provides support and natural cushioning. 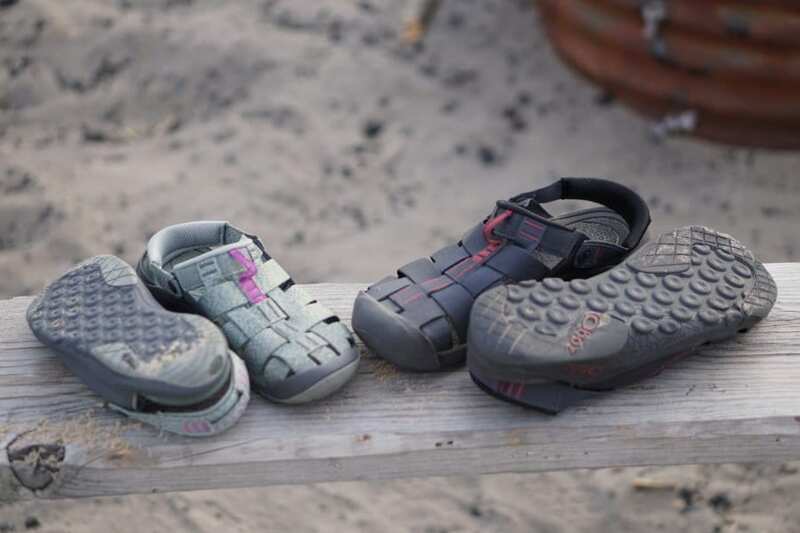 Two-piece protective toe cap shields against whatever the outdoors throws your way. Commune with nature. Don’t stub your toe on it. 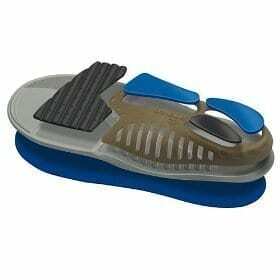 Slide/Clog Mode – Heel strap pivots for easy entry. Performance Mode – Heel strap pivots back to secure your foot. Volume – High volume feet tend to be wide with high arches and a high instep, or a combination of these. Width – Standard Women’s standard width is B in the heel and C in the forefoot (according to Brannock Device®). Patterns and materials in a given model may influence fit. Outsole -Salida Outsole – Lightweight yet extremely sturdy, the outsole combines non-marking rubber and EVA for incredible traction in wet environments with ample to protection and remarkable all-day comfort. 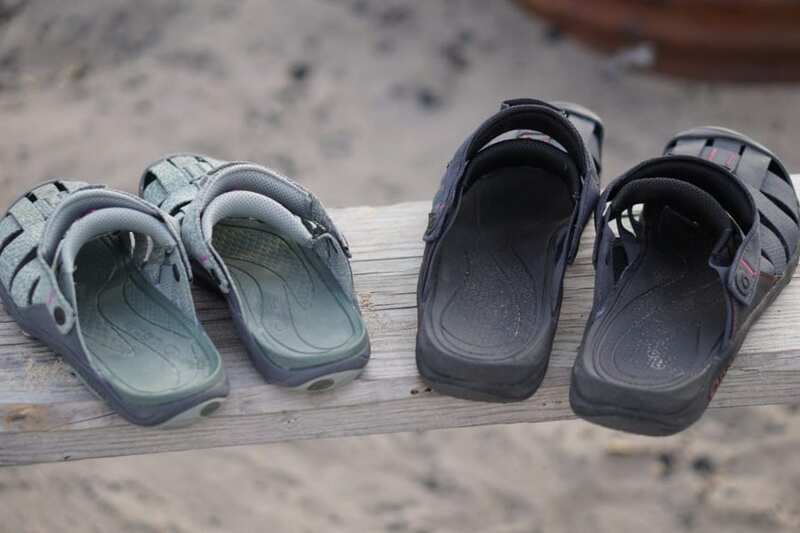 The Campster is a lightweight, nimble sandal perfect for leisurely afternoons spent strolling on the beach or hanging out in comfort around camp. 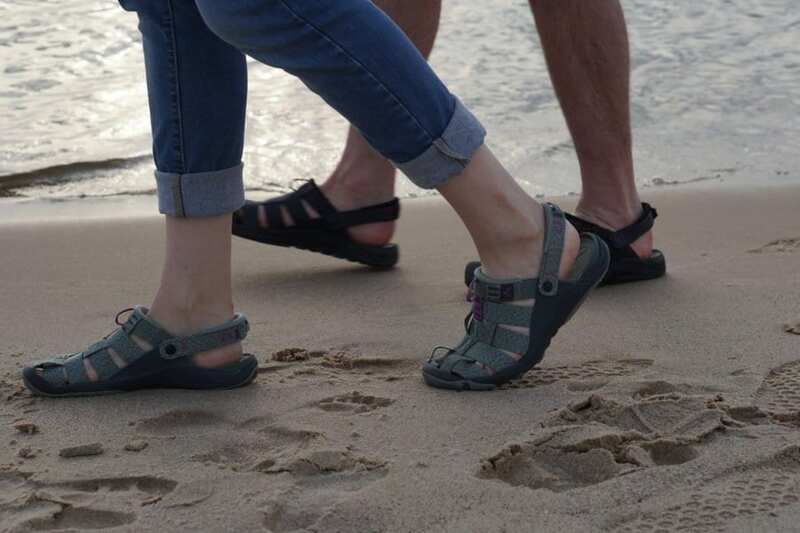 The open woven webbing design creates an upper that promotes air circulation giving a comfortable, soft fit around the foot and also allows water to drain easily should you decide to jump in the lake for a quick cool down. It’s surprisingly nimble across both land and water, giving tactile feedback for retaining balance across rugged trails and slippery streams. For proper support, the pivoting heel strap can be worn behind the heel for a more secure fit and the sculpted arch and deep heel cup is ergonomically contoured for uncompromising wearing comfort. 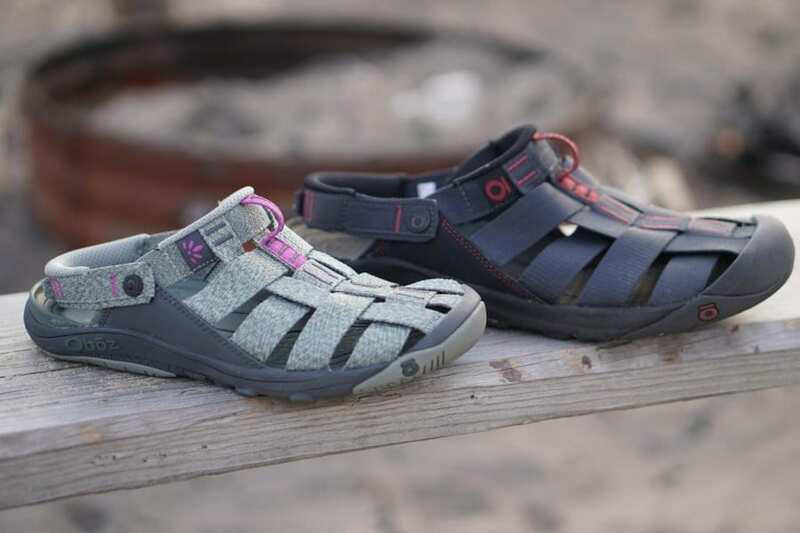 If you are looking for the apotheosis of an adventure sandal, the Oboz Campster is it, bringing lightweight comfort for relaxing and just the right amount of performance for exploring.